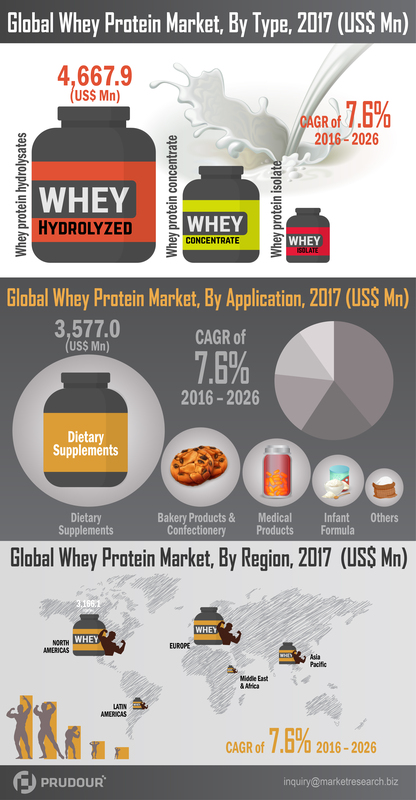 Among type segment, whey protein hydrolysates segment in the global whey protein market is estimated to account for a majority revenue share of 50.8% in 2017. The first five-year cumulative revenue (2017–2021) of this segment is projected to be US$ 52,787.2 Mn, compared to a moderately higher cumulative revenue total of US$ 75,952.5 Mn for the latter five years of the forecast period (2022–2026). On the basis of type segmentation, whey protein hydrolysates segment is expected to contribute major revenue share. Among all the application segments, dietary supplements segment is expected to register highest CAGR of 8.1% . North America is expected to dominate market and accounts for largest market revenue share of US$ 3,166.1 million in 2017. 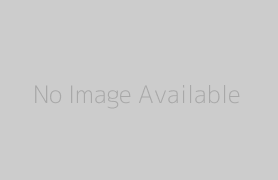 Global Whey Protein Market Companies are Arla Foods, Axiom Foods Incorporation, Davisco Foods International Inc., DMK Group, Glanbia Plc, Hilmar Cheese Company, Kerry Group, Maple island Inc., Milk Specialties Global, Westland Co-operative Dairy Company Limited.